Part 1 for The Coffeevine November 18 box, in this post I’ll only write about the coffee from Atkinsons Coffee Roasters. In the previous post, you’ve been able to read about the coffee and also what I expect from the coffee. In this part, I’ll share my recipe for an awesome pour-over and Espro travel press as usual. 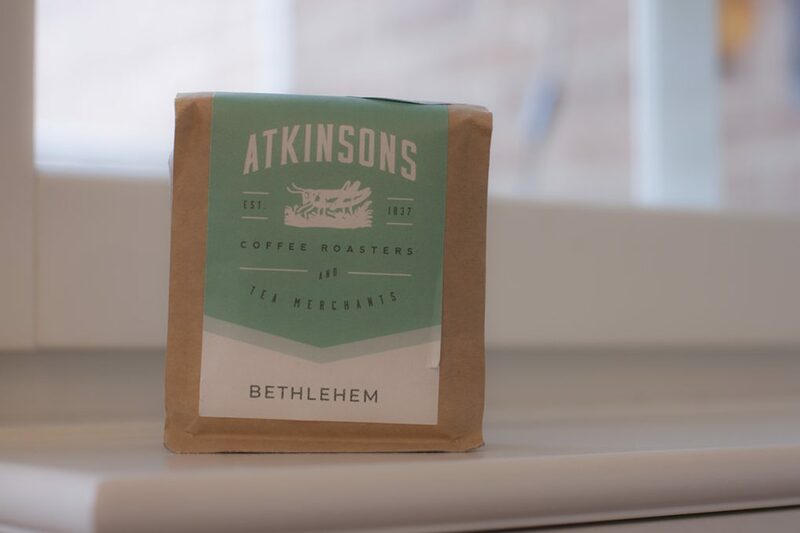 As I was cupping Atkinsons Coffee Roasters – Bethlehem I could easily feel the acidic notes of lime that Atkinsons Coffee Roasters mentioned. The aftertaste had a very nutty flavor, to me, it resembled a lot like almonds. Lime and mild notes of almond. The honeycomb was kinda hard for me to notice, I could feel some sweetness, but it wasn’t close to honeycomb. It was closer to the sweetness from a roasted almond, it made it balanced. This coffee is something I could drink every day without getting bored, but if the coffee can get boring it might be special in the beginning. If you have an Espro and a Pour-Over … What should you choose to brew with? As I wrote above, you get a more balanced cup with the Espro, you also get a great result every time as it’s impossible to make mistakes. Do you want your cup to show a bit of aromatics, brew with a Hario V60 etc. It becomes more spicy, aromatic and nicer on its own. I actually prefer Atkinsons Coffee Roasters Bethlehem coffee with the Espro.